Un, deux, trois — allons-y! One, two, three — let’s learn French! 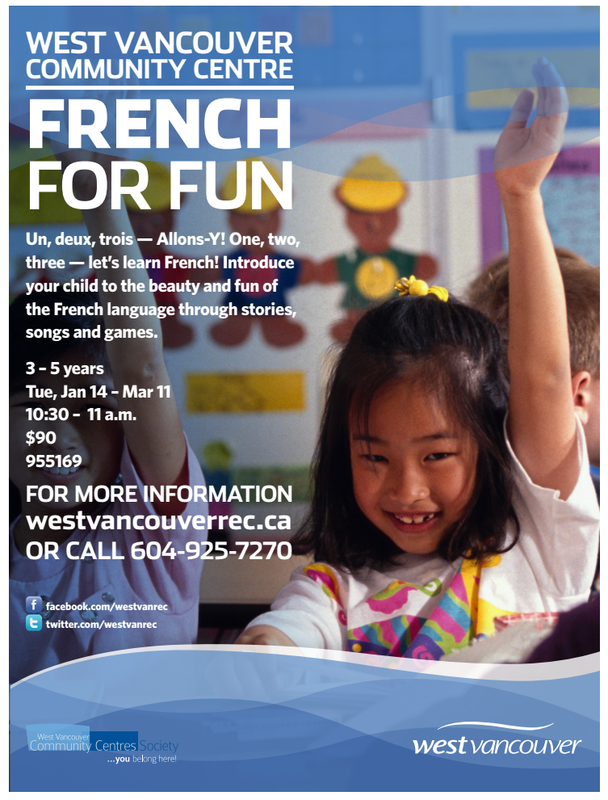 For a head start to French Immersion Kindergarten or just for Fun! 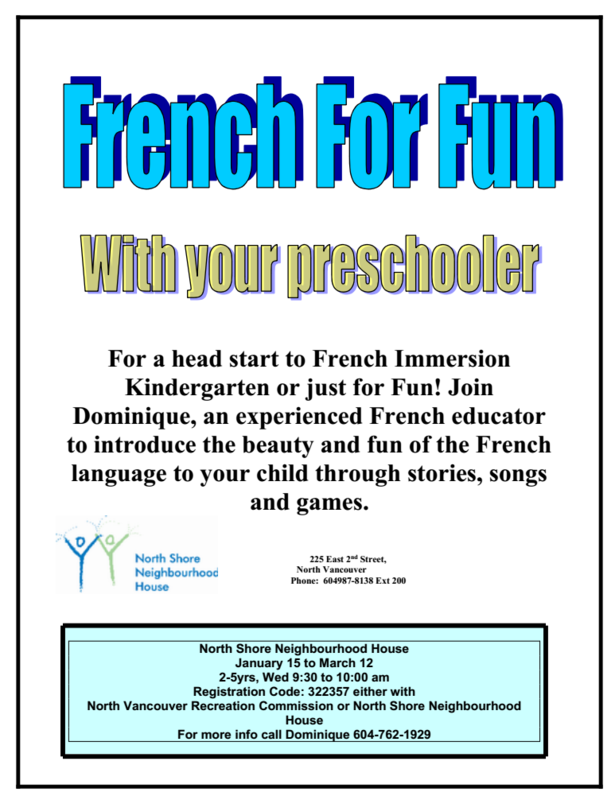 Join Dominique, an experienced French educator to introduce the beauty and fun of the French language to your child through stories, songs and games. Available through the North Vancouver Recreation Commission and the West Vancouver Community Centre, see details below. Next Next post: Coming soon: CPF North Vancouver’s annual French Film Festival!